Earlybird Booking Open NOW! - Click Here! Eagraíocht is ea Scoil Acla a chuireann teagasc ar fáil sa cheol, sna healaíona agus sa chultúr traidisiúnta Gaelach i rith na bliana ar Oileán Acla, Co. Mhaigh Eo. Is é an Scoil Samhraidh buaicphointe na bliana a tharlaíonn i mí Iúil gach blian. Sa bhliain 1910 a bunaíodh an chéad Scoil Acla, agus tá an Scoil Samhraidh á reáchtáil gach bliain ó cuireadh tús leis arís i 1985. 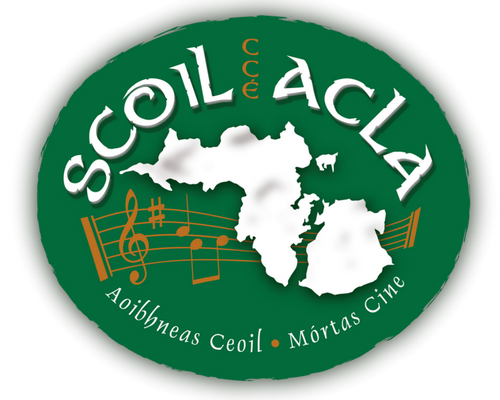 Scoil Acla is an organisation that provides teaching in traditional Irish music, arts and culture throughout the year on Achill Island, Co. Mayo. 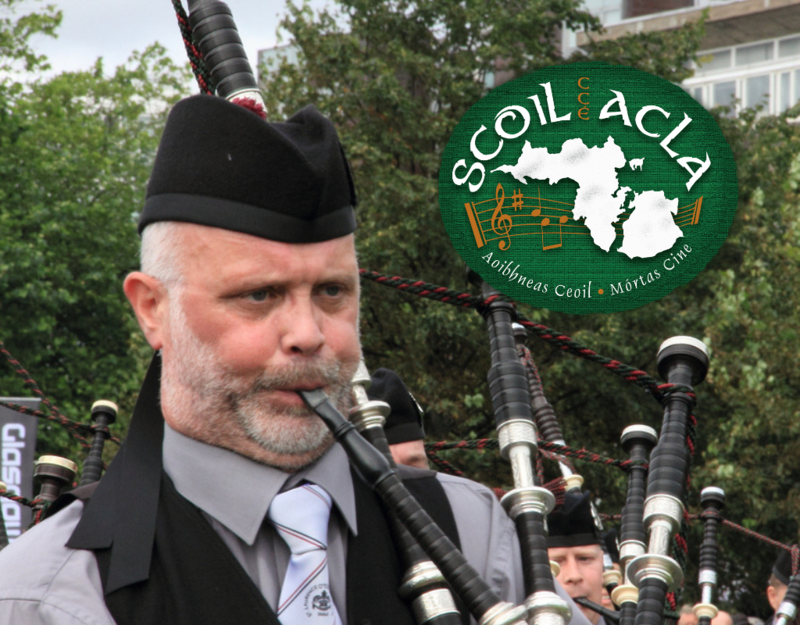 The highlight of the year is the Scoil Acla Summer School which takes place in July every year. In 1910 the first Summer School was established, and the event has been run every year since its relaunch in 1985. Cuireann Scoil Acla teagasc den scoth ar fáil i réimse disciplíní do dhaoine óga agus aosta agus daoine le cumas éagsúla. i measc na n-uirlísí a bhíonn á dteagasc tá an crúit, an fheadóg stáin, an fhidil, an fheadóg mhór, na píb uilleann, an bainseó, bodhrán, pianó, giotár, consairtín agus an bhosca ceoil. Bíonn ceardlann do scríbhneoirí ar siúl, chomh maith le cúrsaí sna healaíona súl agus ár rang Gaeilg’ Acla! Scoil Acla offers excellent teaching in a range of disciplines for young people and older people and people with a diverse ability. 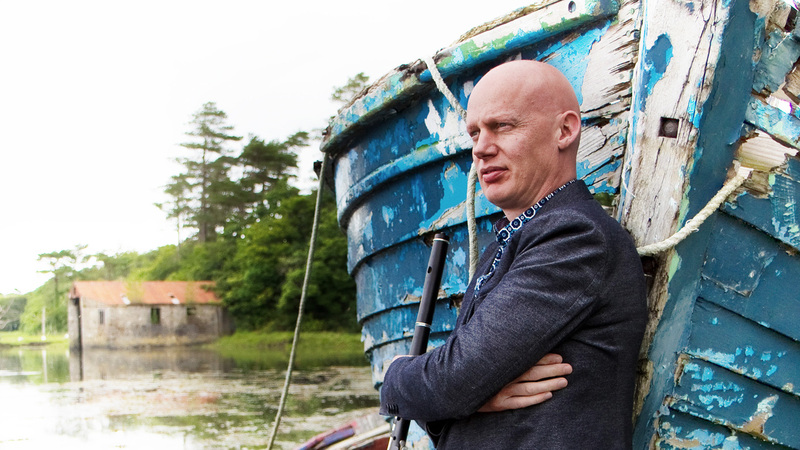 Amongst the instruments are the tin whistle, the fiddle, the uilleann pipes, the banjo, the bodhrán, the harp, piano, guitar, the concertina and the accordion. There is a workshop for writers, visual arts courses as well as our Irish language course!